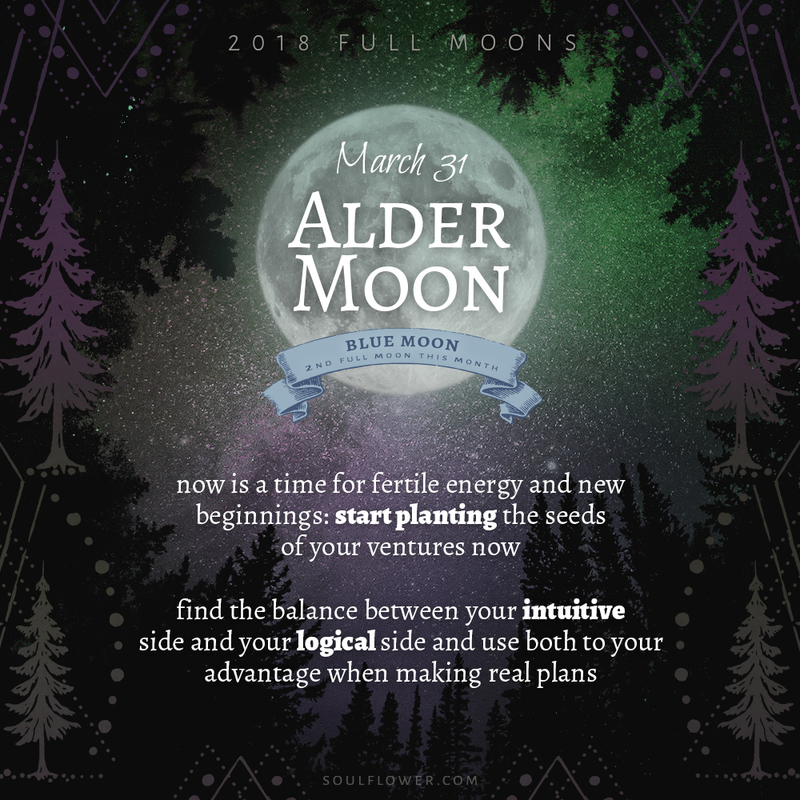 Inspiration for the two full moons in March hints at the quickly-approaching spring season. Can you believe winter will soon be over?! The Spring Equinox lands on March 20, mid way between the two full moons. The equinox is a time of balance and equilibrium, and spring is a time for fresh beginnings and growth. Take some time to meditate on the changing of the seasons. Notice the little things that fill your heart with gratitude. Keep an eye on the sky and don’t let time pass you by without participating fully in your life. Hello, March! 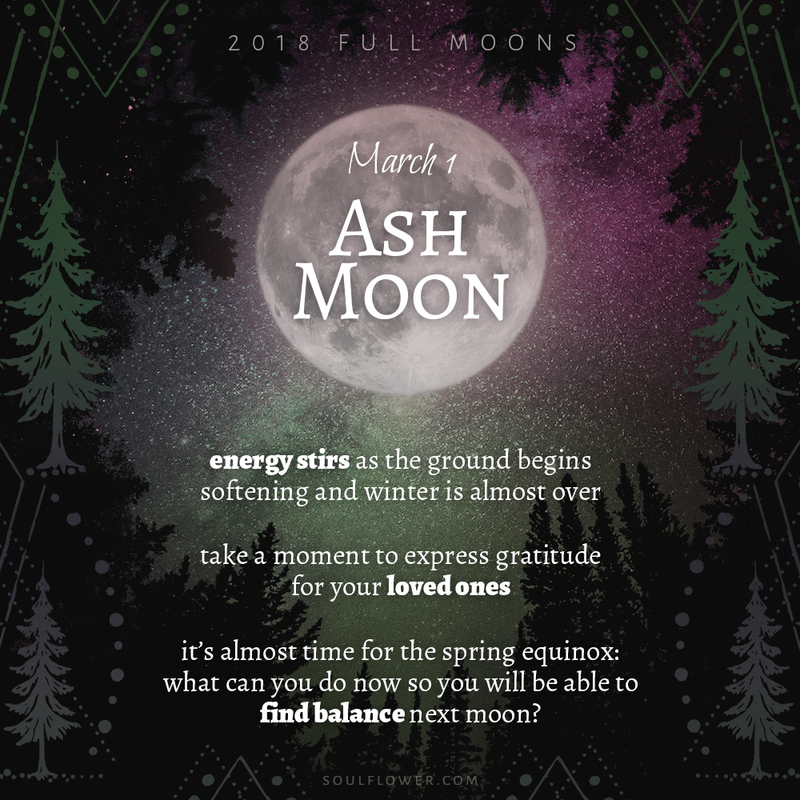 it’s almost time for the spring equinox: what can you do now so you will be able to find balance next moon? The Moon is our closest celestial neighbor. It’s a constant reminder of the bigger picture: the vast universe out there and each of us, here –together– on this one planet. In this one solar system. In this one galaxy. Out of billions. 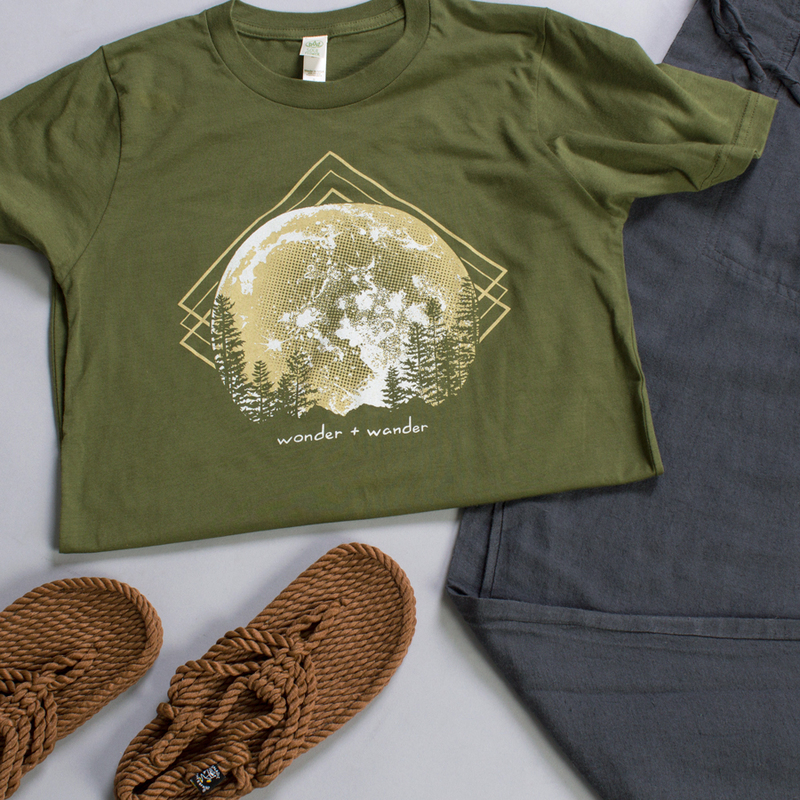 Make your days and your nights count buds and enjoy these two 2018 full moons!